Below is a photo taken of the house many years ago. Although I am not certain of the date, I would guess early in the 20th century. Notice the porch at that time did not have the skirting. 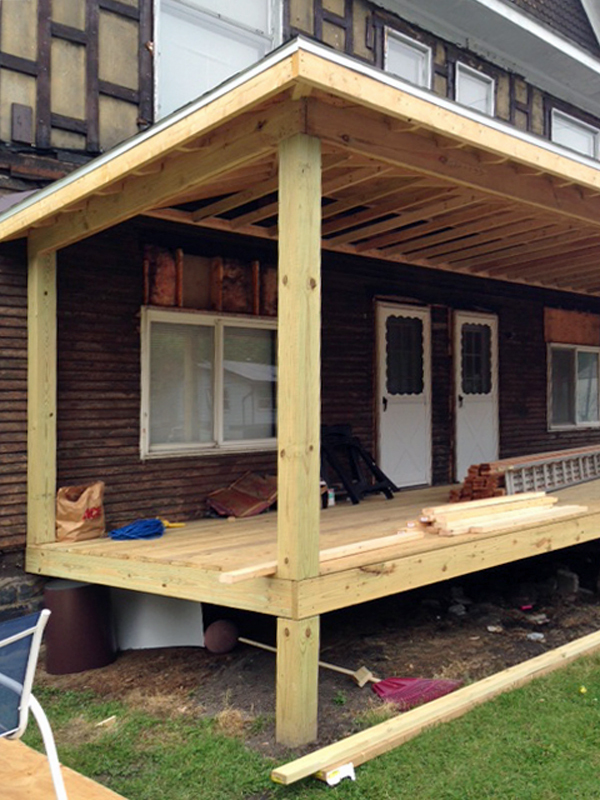 However, when we removed the two layers of plastic siding, we discovered in the paint underneath an outline of just such a porch. My guess is that this feature was added sometime before WWII when such features were popular on houses in Rowlesburg. Below, the old River House, torn down many years ago. 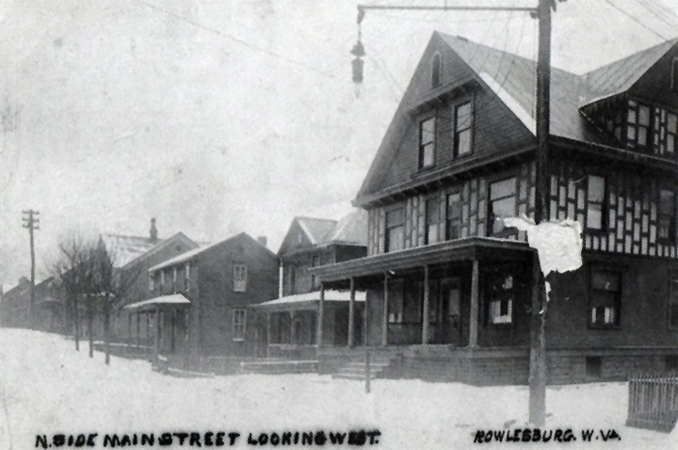 Below is the house at 43 Main Street that would eventually become the new River House Lodge. This photo was taken just after the flood of 1985. 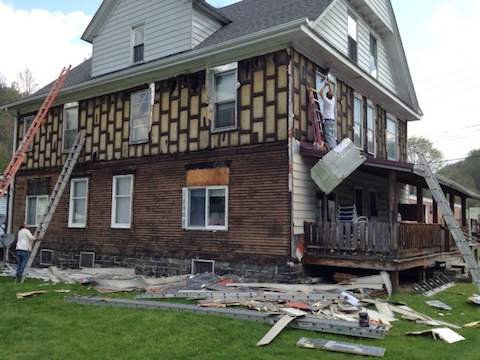 Clyde Sypolt bought the house and saved it from the wrecking ball. 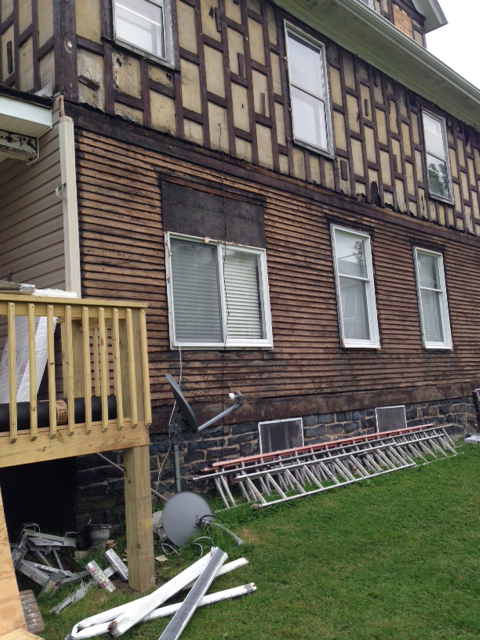 The front porch was ripped away and the old siding, a kind of Bakelite product that was very popular after WWII, was removed by Clyde Sypolt and replaced with vinyl siding. That remained on the house until I began restoration. ﻿He had begun work on it when the picture was taken in 1985. Phase Two of the restoration is done! 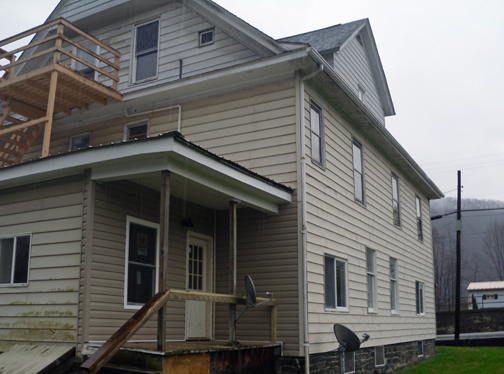 We were able to add two more large rooms, a laundry and three bathrooms to our top floor. The two rooms can be joined as a suite or rented separately, as they each have private baths. 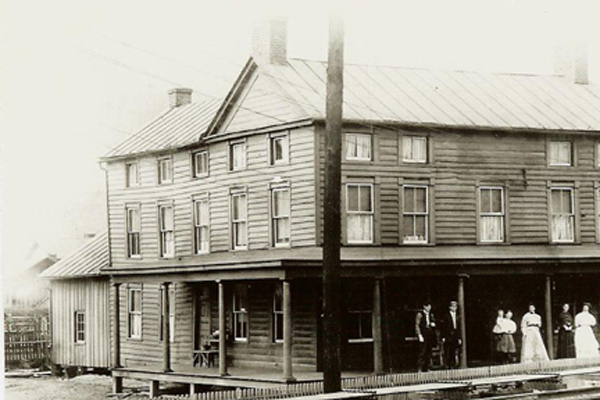 Our early Victorian house on Main Street, not a stones throw from where the old River House stood, has now been brought back to its glory of a period long ago forgotten in Rowlesburg. This house has a very interesting history. It was built or remodeled by the Hollis family who were wealthy bankers and merchants. It is assumed the Hollises built the house, as it appears to be designed for two families. The Hollis brothers, Ross and Robert, occupied the home until after WWII. It was eventually bought by Betty Wilson and converted to a three-family rental property. Harold and Nancy Knotts lived here and it may be best remembered as their house. The structure sits on property once owned by the Wrightmyers, another early Rowlesburg family of some prominence. Copyright 2012 rowlesburg. All rights reserved.